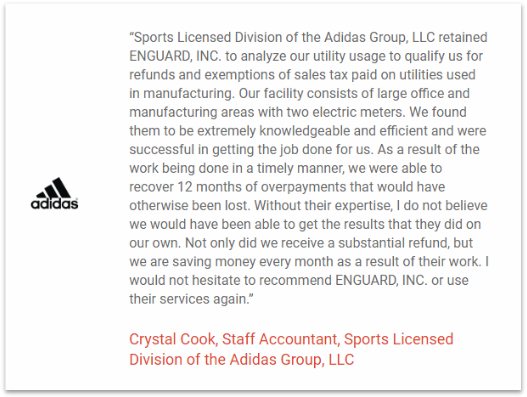 Why You Should Choose Enguard as Your Utility Tax Consultant – Blog – Enguard, Inc. 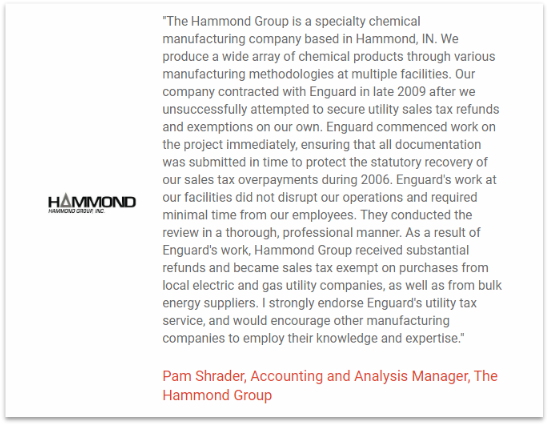 Looking for a utility sales tax consultant in Indiana that can help you minimize your tax savings? You must be thinking, here we go again – another of those self-advertising posts. How about we only present you with facts; you decide whether we really are the right professionals to advise you on your utility tax savings strategy, and if you find us in any way unconvincing, free consultation and drinks on us? Our utility tax consultants have been serving industrial and commercial clients in all matters related to tax for more than thirty years. We know this field from inside out and we are willing to share our knowledge and experience with you and comprehensively guide you on all levels. 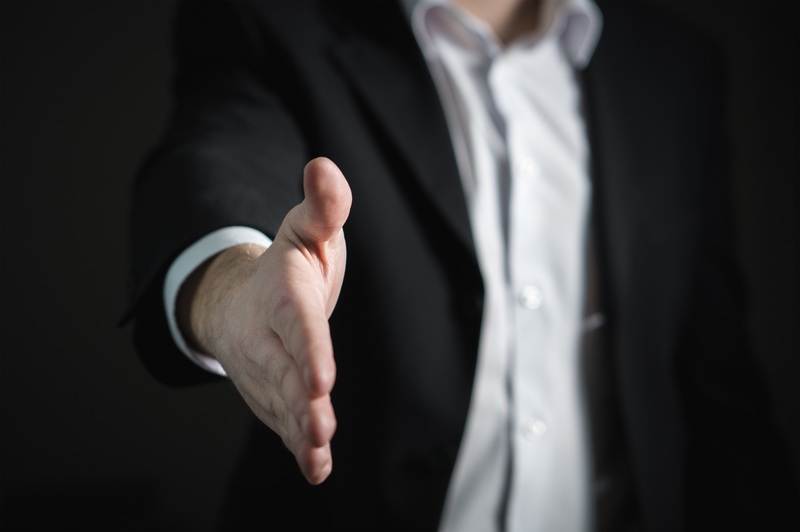 Our consultation portfolio is rich and we have advised our clients on different tax matters including sales and use tax, cost segregation, real property tax, personal property tax and R&D tax credits. But our expertise lies with utility sales tax exemptions – the reason for which you are here. We don’t guide you over the phone, email or skype sessions. We don’t ask you for the drawings and other technical documents on the internet. We will come to you, visit your site and we will provide you on-site consultation. That way, you only get an advice that represents the best solution for your case. And yes, even if that means you want to perform a utility study on your own and only need a little help to get started, to move forward or to overcome the final hindrance, we can help. We have served businesses in all sectors and some of them are established names in their niche market. This includes, Adidas, Mc Donald’s, Mitsubishi, Toyota, Xerox and so many others. As part of our deal, here is the link to avail our free consultation. What is Utility Sales Tax Refund and How to Apply for It? Your Commercial Energy Bill—It May Be Inaccurate!